Catalog Home > New Sprouts® Grill It! 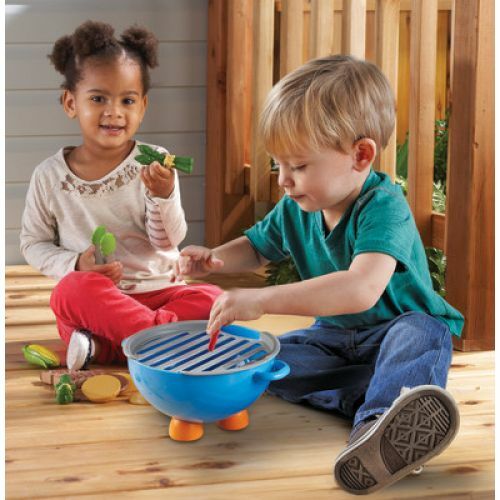 No matter the weather, young grill masters can sear up a storm inside or outside with our new Grill it! 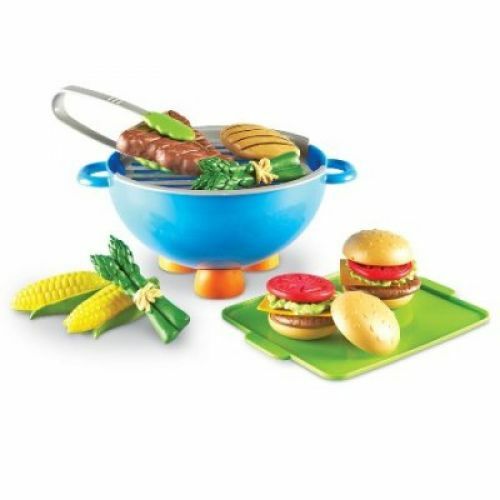 The fun and finger-friendly way to pretend grill, this engaging kettle-style grill is soft, durable, easy to handle, and comes with a full assortment of play food, allowing children ages 2 and up to express their inner BBQ king or queen. Using the tongs to move foods on, around, and off the grill allows them to practice fine motor skills as well as hand-eye coordination. 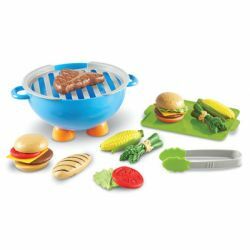 From veggies to steak, chicken and burgers, there's plenty of mouth-watering play food to cook and serve. Best of all, there's no mess to clean up and all of the food stores inside the grill for easy put away. 1 kettle-style, 4½"H x 8" in diameter grill w/removable grate, 2 burgers w/buns, 1 chicken breast, 1 steak, 2 slices of cheese, 2 pieces of lettuce, 2 tomato slices, 2 ears of corn, 2 asparagus bundles, and 1 pair of tongs.